Steinway Boutique Manila, in partnership with BDO Private Bank, is proud to present the 3rd Philippine Steinway Youth Piano Competition where young pianists aged 17 and below gather in an evening of music. This year, the Philippines sees six young national finalists: Irene Lee, Hansel Harel Ang, and Andrea Bernadette Verzosa for Category 2 (ages 12 to 14); and Moriah Ongchoco. Carlos Raphael Cornelio, and Jet Stephen Chong for Category 3 (ages 15 to 17). Only one will be selected by a panel of internationally acclaimed judges as the Philippine representative to the Steinway Regional Finals Asia Pacific, and will be hailed as the grand prize winner. 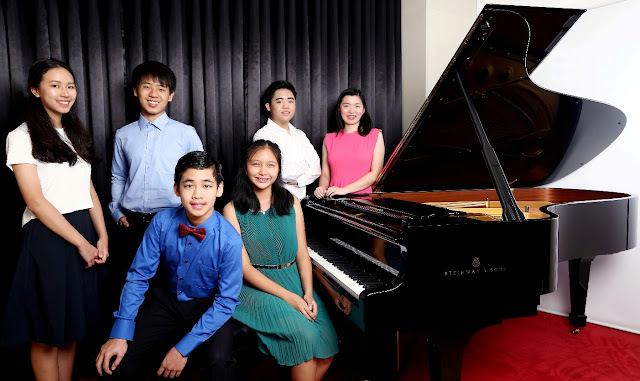 From there, the winner will further compete with the representatives of participating countries—Brunei, Indonesia, Malaysia, Singapore,South Korea, Taiwan, Thailand and Vietnam—for a spot at the International Steinway Festival in Hamburg, Germany. The International Steinway Festival was created in 1987 and is now being held every two years in Hamburg, where Steinway & Sons pianos are built. The festival was envisioned as a non-competitive concert that celebrates musical excellence, the fostering of musical community, and the nurturing of young pianists in the formative stages of their careers. The 3rd Philippine Steinway Youth Piano Competition will be held on May 21, 2016 (Saturday), 6 pm, at the BDO Francisco Santiago Hall, Mezzanine Floor, BDO Corporate Center, South Tower, 7899 Makati Avenue, Makati City.Tickets are available at Steinway Boutique Manila, 6750 Ayala Avenue, Makati City. For inquiries, you may call +632 892 7508 or email info@steinway-boutique.com.ph. Steinway Boutique Manila is the exclusive dealer of Steinway & Sons pianos in the Philippines. Located at the ground level of the 6750 Retail Arcade, Ayala Avenue, Makati City, the Steinway Boutique Manila presents a collection of Steinway & Sons pianos, including Steinway-designed Boston and Essex.